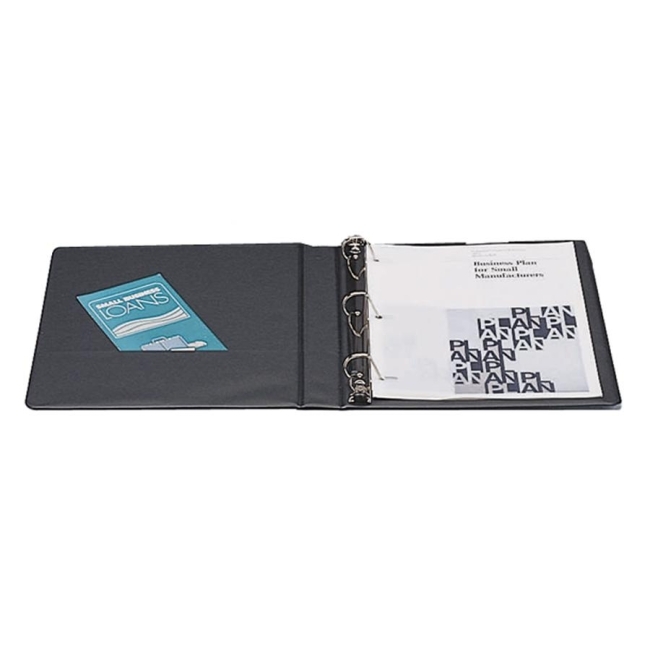 Binder features unique slanted rings that are designed for maximum sheet capacity. Rings are mounted on the back cover for visibility. Quality ring metals feature double opening/closing boosters. 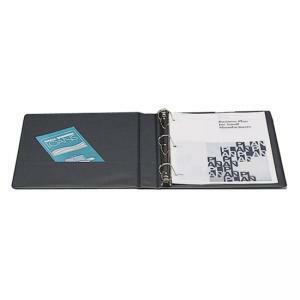 Binder also offers storage in the handy utility pocket inside the front cover. Binder cover features suede-finish virgin vinyl sealed over heavy board.